Following on from the release of the new club gin, Alex Parker, from London & Scottish will be hosting two tasting session. 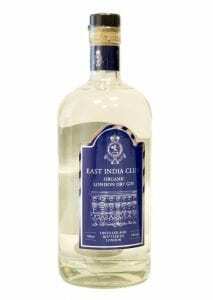 Members will have the opportunity to try both the 43% East India Organic Gin and the 57% “Home on the Furlough” Gin as well as others produced by London & Scottish. Members can book up to 3 guests. Price includes sandwiches, for dinner reservations afterwards please book with the Dining Room in the normal way.